Double decanting allows us to both properly decant a wine and still serve it in the original bottle. This process doubles the wine’s exposure to air when compared to a single decanting process. We are able to add more air to the wine using the double decanting wine method because the wine is exposed to oxygen twice, on its way out of the bottle and on its way back in. This process takes about 1 minute to go out of the bottle, and about 30 seconds to go back into the bottle. The wine is able to breathe 10x more than it would in the actual bottle, and makes the wine much smoother and tastier. What wine goes through the double decanter? The double decanter is used most effectively for full-bodied red wines. 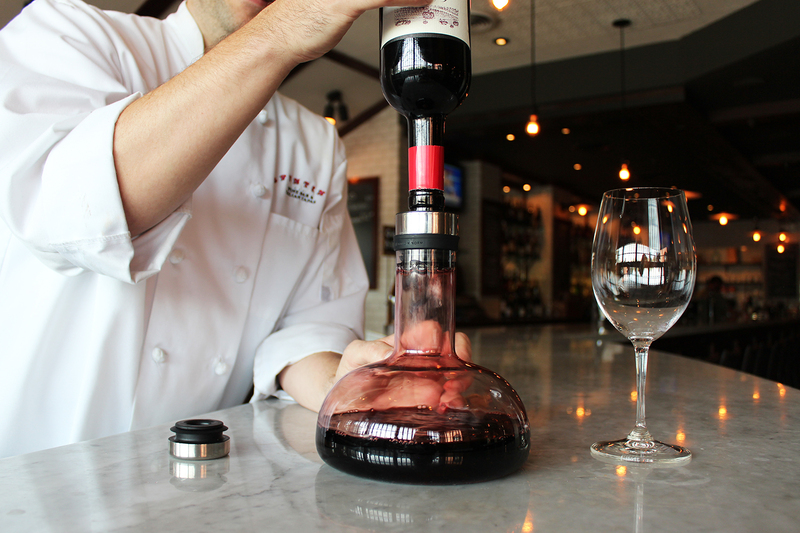 A few nice choices on our menu that would be complemented by the double decanting process are our Mossback Cabernet Sauvignon and Franco Francesco Barolo. 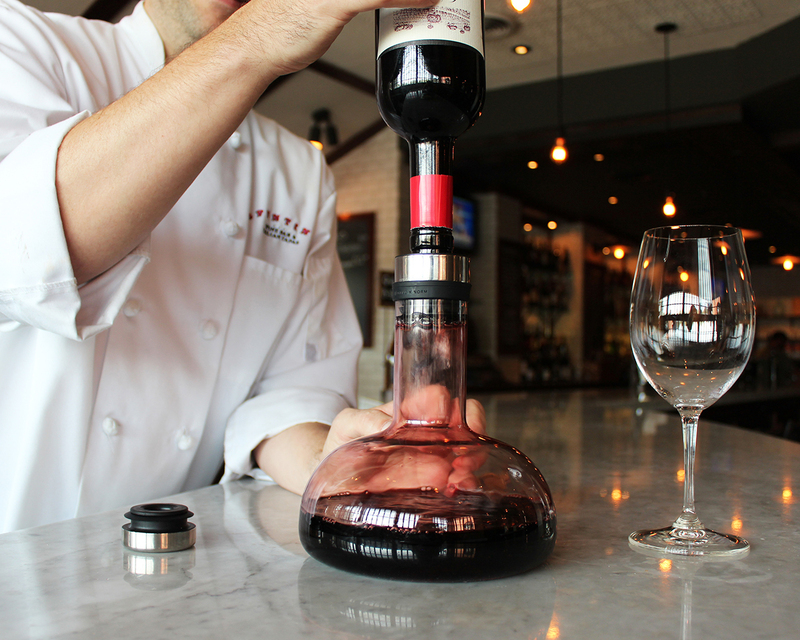 Watch the video below to see how the double decanter works! How do you feel about double decanting wine? Let us know your thoughts in the comments below!